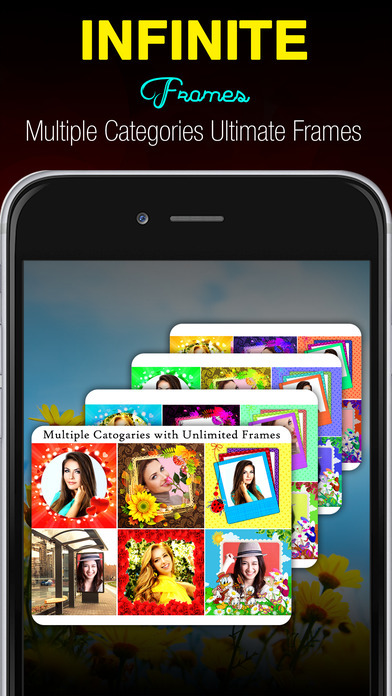 Photo Frames Infinite is an application made just to keep your memories last infinitely. No need to worry about space as all frames are coming cloud storage. When you run this application, they are retrieved from cloud, so their will be no space constraint on your device. All frames will come from cloud storage. Frames comes under almost all common categories like Hoarding, Interior, Nature, Shapes, Waterfall, Doodle, Frames, Halloween and much coming. 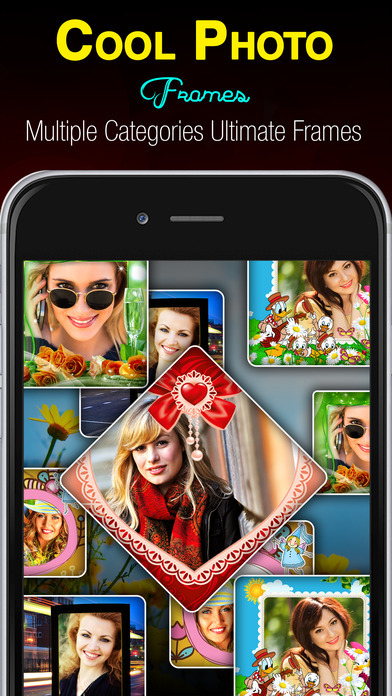 Save and instantly share on any social networking platform like Facebook, Twitter, Whats App, Line, Instagram and more.